Cricket has evolved to become a fast-paced sport designed to deliver instant gratification to its large audiences. Moreover, the introduction of leading-edge technology into the game has provided opportunities for teams to study and catch-up with some of the tactics and strategies that their opponents employ on the field. The role of the support staff has also expanded. In addition to helping the captain formulate strategies prior to the game and preparing the team for the game, the coaches have become the eyes and ears of the captain while the team's on the field. They monitor the happenings on the field through the spectrum of technology and provide guidance and suggestions to the captain in real-time to help him stay ahead of the opponents. Smart coaches are often seen swiftly sending the twelfth man on the field, under the pretense of providing assistance to the players, to relay a message to the captain of a development that they may have observed on the field. Based on that information the captain then recalibrates his tactical nous. As a result, equipped with the knowledge that the head-coach is present at all times to guide the captain, team management around the world are taking the risk of appointing younger, inexperienced captains without trepidation. India's appointment of Shastri was controversial. He replaced a capable, competent and successful coach in Kumble at the behest of captain Kohli. The board's acquiescence to the whims of a young and inexperienced captain surprised seasoned cricket commentators and fans alike. Nevertheless, the dust settled and coach Shastri's expressed statements of confidence were consumed with a positive frame of mind. 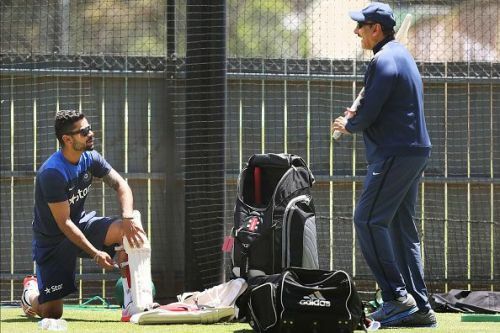 By coach Shastri's own markers of achievement, India's overseas tours of South Africa, England, and Australia were to be viewed as barometers to judge the progress of this team in its preparations for next year's World Cup. So far, the 0 for two results after South Africa and England indicate that the team's walk has not matched up to the coach's talk. The tour to Australia is currently underway against a much depleted Australian side. After two T20's thus far, India is yet to win. Despite an abundance of talent, India's chances of winning the World Cup appear to be dwindling under the stewardship of coach Shastri. Let's look at why he's ill-equipped to continue as the head coach. One of the main concerns that doubters pointed to from the beginning was Shastri's volatile temperament. He's proven them right. We have seen him repeatedly make controversial statements and confusing decisions that have left the team on the defensive and invited more criticism toward the captain. Instead of providing cover to the young captain, he has often stoked the fire even more. A prime example of his poor judgment was when he let Kohli go out and declare to the press that India didn't need practice matches before the South Africa tour. And then, when the series was lost, he let Kohli sit in that press conference and take the heat. The England tour was almost like a do-over. Once again he failed to advise the captain from making ill-advised comments to the press and then sent in an under-prepared team to face a strong England team. It was no wonder that the England tour was an even bigger disaster than the South Africa tour. 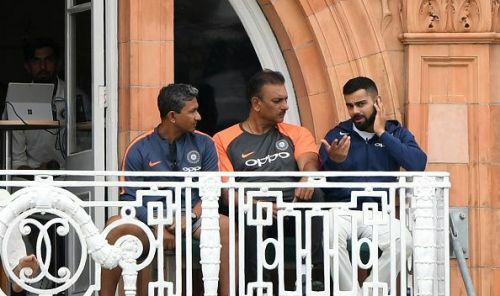 Shastri's response to India's dismal performance in England was that this Indian team was a better performer than any other in history in overseas conditions. It was appalling how out of touch he seemed and re-highlighted the lack of his mental suitability for the job. As expected from a young captain, Kohli has made some eye-popping mistakes on the field. Field placements have at times been strange, to put it mildly. The way he's used his bowlers is another area that has merited criticism. He has at times failed to react appropriately to change in the match conditions or adjustments made by the opposing team. One would expect that at least the glaring mistakes would be pointed out and corrected by the astute observation of the head coach. But Shastri has largely been oblivious. That's an indication that either he has failed to spot Kohli's mistakes or has been inattentive to the proceedings on the field, or his advice is ignored by Kohli. Whatever the case may be, that's an abdication of his duties and the team has paid for it. 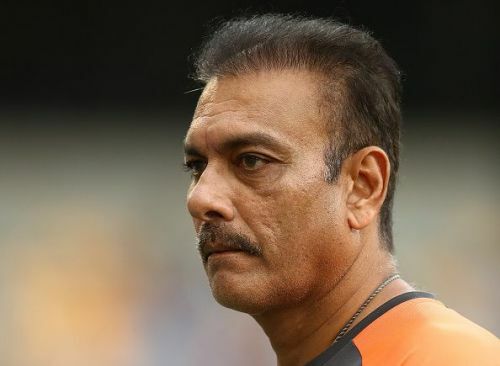 So, with the Australian tour beginning with a hiccup already, it may be time to thank Shastri for his services and replace him with another competent and astute coach who can help guide this talented team to world cup glory.